Time is running out for Gov. Andrew Cuomo to sign or veto a bill that would decriminalize many folding knives that have caused thousands of arrests in New York City. Artisans and tradespeople have been handcuffed and booked simply because they were spotted carrying pocket knives they assumed were legal, the I-Team has reported extensively. Assemblyman Dan Quart (D–Manhattan), who sponsored the knife reform bill, says it's unfair that working New Yorkers are allowed to buy folding blades at hardware stores, but risk arrest for carrying them – even when they have no intent to use them violently. "From 2004 to 2013, sixty thousand people – maybe even more – have been prosecuted for possession for nothing more than a folding knife," Quart said. For about six months, Cuomo has resisted stating a public position on the knife reform bill, which overwhelmingly passed both the Assembly and Senate last summer. With just about a month left in 2016, supporters of the bill urged him to sign it. "We’re calling on the governor to look at this from the perspective of someone who has a lot of common sense," said Sen. Diane Savino (D–Staten Island), who co-sponsored the knife bill. "Sign this bill. Apply common sense. Allow working men and women to go to work in New York City and New York State without threat of being arrested for just doing their job." Dani Lever, a spokeswoman for Cuomo, declined to characterize the governor’s posture toward the knife reform bill. "The bill is under review," Lever wrote in an email to the I-Team. 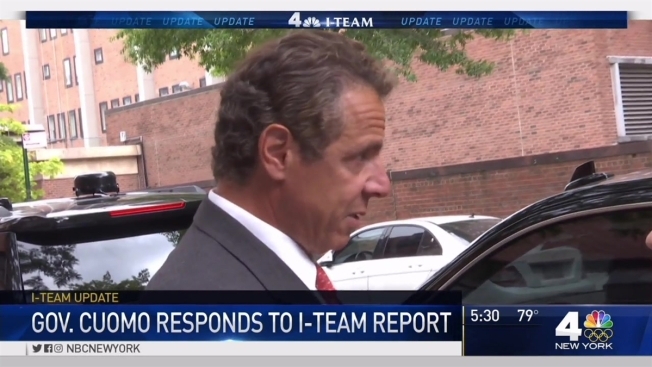 Earlier this year, Cuomo told the I-Team he sees both sides to the argument. "A lot of New Yorkers don’t think other New Yorkers should be walking around with knives." Cuomo said. "The other side of it is many working people carry knives as part of their jobs." If Cuomo ultimately decides to veto the knife bill, it will put him in agreement with Mayor Bill de Blasio, who has become the highest profile opponent of the decriminalization. "An easily deployed blade is an inherently dangerous weapon and has no place on city streets," said Austin Finan, a spokesman for de Blasio. "Any effort to decriminalize these knives runs counter to the hard work officers are doing to keep our city safe." Joining de Blasio in his opposition to the knife reform bill are district attorneys from Manhattan, Queens, and the Bronx as well as Police Commissioner James O’Neill and the Patrolmen’s Benevolent Association. Quart said he expects to send the knife bill to the Governor’s desk in the next three weeks. Even if Cuomo takes no action on the bill – failing to sign or veto will have consequences. If the legislation hits Cuomo’s desk before the session ends, not signing the bill within 10 days will result in the law’s automatic passage. According to rules posted on the New York Senate webpage, if a bill is sent to the governor when the legislature is out of session, inaction will kill the legislation. “At such times, the Governor has 30 days in which to make a decision, and failure to act ("pocket veto") has the same effect as a veto,” the website says.